American Retirement Insurance Company specializes in Medicare supplement policies. They have been in the supplemental insurance industry since 1979. They are one of the few companies in the industry that provides only supplemental insurance for Medicare. American Retirement Insurance Company is a subsidiary of Loyal American Life Insurance Company, which is owned by American Financial Group. Loyal American Life Insurance Company started in 1955 in Mobile, Alabama. They have the ability to underwrite in all states including Washington D.C. and the Virgin Islands. New York is the only exception. To receive a quote from American Retirement Insurance Company, simply answer a few questions about yourself and click on the “get free quotes” button. To best serve you, your name, age, address, city, zip code, phone numbers, email address, and any additional comments are to be filled out. You can also call (800) 233-2747 to receive your quote. Once you have a quote, you can compare the different plans, and then you must apply for coverage in order to be accepted and have the policy drawn up. Premiums vary depending on age, zip code, amount of time policyholder has been on Medicare, and tobacco usage. American Retirement Insurance Policies provide supplemental insurance for Medicare. The policies depend on the Medicare plans. The plans range from A to N. Plan F has a high deductible whereas plans K, L, M, and N have different cost sharing and the premiums may be lower. Plans D and G have been revamped since June 1, 2010, and have varying coverage from before. Plans E, H, I, and J were discontinued after May 1, 2010. However, if you bought plans E, H, I, and J prior to May 1, 2010, your plan is still in effect. Medicare plan A is a basic plan, but plans B through N have additional coverage including skilled nursing, deductibles like that in plans A and B, excess charge coverage, coverage for travelling emergencies, and Hospice care. Actual coverage depends on the state you reside. You can combine your Medicare supplement insurance with other health insurance like long-term care or specified disease coverage but not with another Medicare supplement insurance. During Medigap enrollment, which occurs the first month after the individual turns 65, a health questionnaire may not be required. Otherwise, there are certain health requirements that must be met in order to qualify for certain supplemental Medicare plans. American Retirement Insurance Company helps you choose the best supplemental policy for your needs. There are 27 companies in California that offer supplemental insurance. It is a challenge to decide which company to go with. American Retirement Insurance Company is made up of representatives who have a minimum of ten years’ experience in the industry. Their representatives specialize in Senior Health Insurance and advising policyholders on Medicare supplements and prescription drug plans. You can contact American Retirement Insurance Company at (800) 233-2747 or by email at [email protected]. 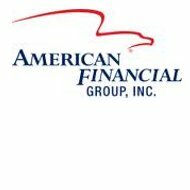 American Retirement Insurance Company is rated A+ by the Better Business Bureau. There have been zero complaints filed in the last three years according to the Better Business Bureau. A.M. Best rates American Retirement Insurance Company with a B++. The testimonials on the American Retirement Insurance Company website are all extremely positive and boast of the knowledge and assistance the company has provided to its clients. American Retirement Insurance Company is an independent, family owned company, which strives to find the best coverage for the best rate.